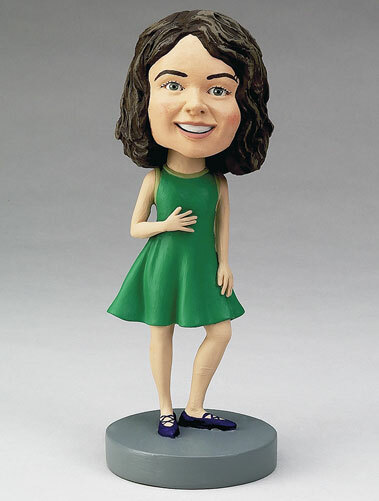 This custom bobblehead can be a lovely gift to celebrate a little girl's participation in a large event, such as being the flower girl at a wedding or making her first communion. The dress can be customized on the bobblehead doll, and she can be accessorized as desired. Engrave the date of the event or the name of her accomplishment on the base to remind her of her success.